Today was a good day, both work and studying wise. The navy and red theme resembled my mood pretty well I think. 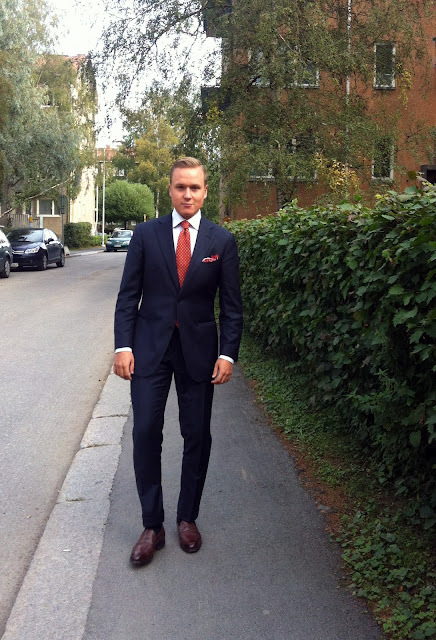 Think I will take the sleeves in slightly when I have time to get this suit to my tailor. Other than that the fit is pretty much what I prefer, even if the jacket is a bit long for my usual preference. Also, I have to say warm red really works well with navy, surprises you every time. 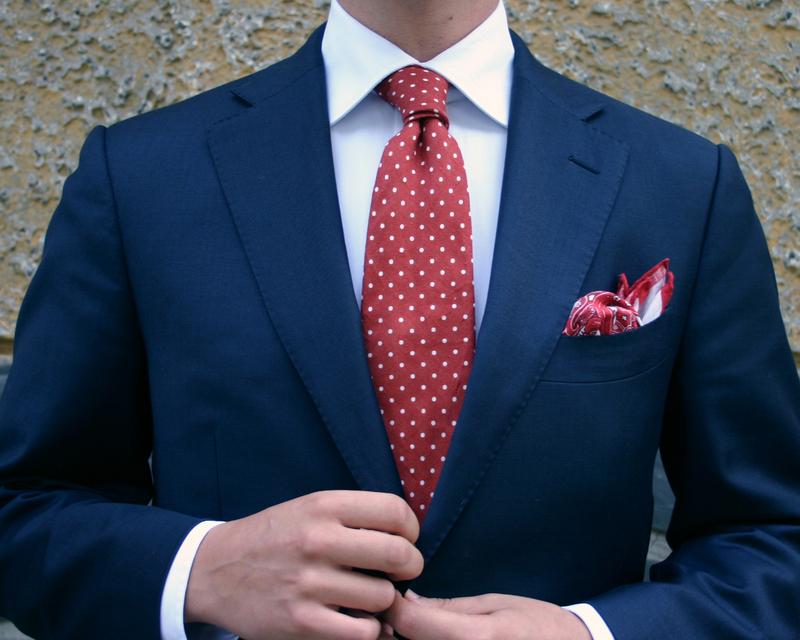 The tie is linen silk blend and has an amazing texture. Pocket square linen, and the belt from Equus Leather in espresso bridle leather. Oh, and the shirt is plain white cotton twill, as you can probably see. Decided to go with my Cheaney's nice sleek penny loafers today, as the weather was surprisingly nice and actually a bit sunny. Nothing beats loafers when the sun is shining, and haters can hate, but loafers work with a suit. Period. Tomorrow I'll put up the second part of my fall shoe trends text, so stay tuned. I think it's one of those topics that will always cause some debate. Apart from the Italians I think there are both people for and against it all over the world. Here in Finland it's quite rare, but then already wearing suits is a lot rarer than elsewhere. 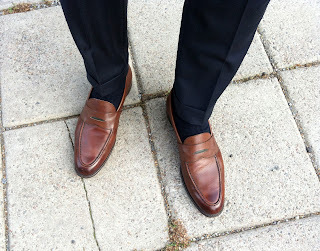 But I agree with you, loafers work perfectly with especially suits cut in more Italian and American way.